The Shopper Call: The Middle Two Questions You Must Always Ask To Convert Price Enquiries Into Appointments. The beauty of a price enquiry is in knowing exactly what it is. Because if you don’t know *EXACTLY* what it is, you won’t value it…. Kind of like a truffle. If you don’t know exactly what a truffle is, you won’t value it. And it’s the same, exactly the same, with a price enquiry phone call to your office. The people who call and ask for a price do so because they have no other point of reference. The number one reason why people call any Dental Office and ask for a price is because they have no other point of reference. We know that everyone calling our office with treatment related questions, such as price, is doing so because they actually need that treatment. With that thought in mind, our job on the phone is to convince the caller that we are the Dental Office for them. Last week I discussed the five opening questions you *MUST ALWAYS ASK* to divert the price enquirer back to their problem, and your solution, rather than be fixated on price. Once we’ve gathered these five answers, we’ll know primarily that the enquirer is not an existing patient, we’ll know their recent dental history, and we’ll have captured their contact data. Now we’re in a great position to take control of the conversation and win them over with our care and concern for their well being. And part of that care and concern is our ability to create urgency if urgency is lacking. By creating an urgency, we promote the sale, or close the sale. Our role is to solve their problem. If we purely just give them information, and don’t create an appointment, we have let the caller down. Because now they will only get second best treatment at best, because they are not coming to *our* office to resolve their dental issue. This simple question creates an urgency. It also creates an atmosphere of service. It’s not that we’re sitting around waiting for the phone to ring so that we can pounce on the caller, but it is important to have an appointment book structure that allows us to accommodate same day requests, where appropriate. [These same day schedule vacancies are also very important for any of our existing patients that need to see us urgently. Keeping slots like this available in the doctor’s schedule as well as in the hygiene schedule prove invaluable]. With the ability to place these enquiries, if needed, into a same day appointment *TIME*, rather than letting them know we can “squeeze them in”, or worse still, deferring them to another day, with that ability in mind, we are able to infer to the caller that their problem is important and we think so much of it and of them that we create times each day just to be of service for people like them in situations like this. When we ask, “How soon can you be here?”, the response we receive from the caller tells us whether or not there is an urgency for treatment in the caller’s mind. Most price enquiry calls relate to a single procedure. And it’s usually about a tooth, be it a filling, a crown, or a root therapy. And often, in those non-cleaning price enquiries, there is a reason for the call, other than price, and that reason is usually some level of pain or discomfort. Again, our aim here is to create urgency, and we do that by showing concern for the caller’s well being, and their ongoing well being. By showing this concern, we build trust. Failing to show concern for the person, as opposed to only being concerned about the problem, is a big factor influencing whether the caller schedules with us or not. Most Dental Offices out there will not show concern for the person. They’ll keep the subject of the call only on the problem. The subject of the call must become the person calling, not about their problem. Sure, we do need to collect information about the problem at hand. However, the skill and talent of a great Dental Receptionist is in her ability to gather that necessary information specific to that problem without deflecting from any of the legitimate concern she has for the caller’s well being. And there’s your big chance to show that your Office is different. Because there really isn’t that much competition out there. Answering the phone correctly, including how to handle the price enquiry is one of the many detailed components of The Ultimate Patient Experience, a simple easy to implement system that I developed that allowed me to build an extraordinary dental office in an ordinary Sydney suburb. If you’d like to know more, ask me about my free special report. A thread I read last year on a dental chat line was questioning the value of employing an outside agency to teach your front desk people how to answer the phone. The logic is that when the phone is answered in a better manner, then more callers will book appointments, and so with that the number of New Patients making appointments is increased. In particular, the debate on the chat forum focused lopsidedly on the techniques and marketing strategies used by one advisory firm in particular. The consensus among those contributing to the debate appeared to be overwhelmingly objecting to the persistent techniques used by this one firm. The debate, which included some sixty odd responses, mostly from dental office managers and Dental Front Office people, did swing a little, but was as I said, mainly one-sided. Interestingly, most respondents were opposed to the aggressive nature and techniques used by this advisory firm when making prospective contacts with the dental office. A large number of respondents too, also felt that the firm, though overly enthusiastic, and dare I say aggressive, in their own marketing, was way too lenient in their phone skills advise. In fact, this firm advocated an “appointment be made no matter what” approach. 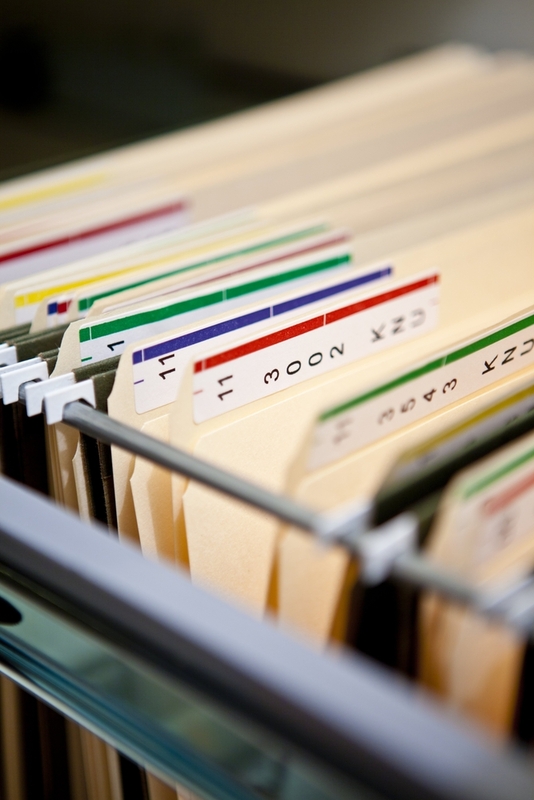 The debaters felt that an appointment made at all costs, without sifting and filtering questions, often resulted in less than “ideal” patients making appointments. The consensus was, that these hastily made, unfiltered appointments turned out to be more of a time-waste than they were worth. I guess what interested me most about this intense debate, as a dentist, as a former dental office owner, and now as a dental consultant and coach, were the two topics that were not discussed in relation to this topic. Two topics that surely should have been a flow on from the discussion. It was almost as if the discussion intentionally skirted past these glaring ommissions…. Firstly, the reason why a company like this exists in the first instance is because of the existence of a NEED for the services that they provide. And everybody in dentistry knows of them, and knows of the services they provide. And not just services, but also perceived services. And yet, discussion about this firm always seems to avoid this glaring stand-out issue. To put it bluntly, if we all ran excellent offices with excellent phone answering happening in a naturally occurring manner, then there would be no need at all, no market at all, for a company to come in and advise our team on better ways of answering the phone and booking new patient appointments. Putting it bluntly, again, there is a need. A strong need. Out there, for sure, in more cases than not in dental reception land, the phone is being answered atrociously. And that’s sad. But it’s true. Out there, in the general community, there’s a lot of very ordinary dental phone skills. And why wouldn’t there be? The boss never hears the calls, nobody ever reviews the calls, so there’s really no barometer or standard or feedback happening. So there’s always the opportunity to be tough on the caller. Or to perform poorly on the call. Take your pick. Result? The caller does not schedule an appointment. I’ve heard this sort of attitude. Are these the people you are employing in your dental office? Are they? I know them. You know them. They are around in dentistry. And in more dental offices than you think. Now the second topic not discussed in that forum, that should have been, and discussed as a follow on topic, is the topic of numbers. No one in the debate seemed to offer up any statistics, stats, or numbers. Number of new patient enquiry calls. Number of those booking appointments. It’s very hard to fix and improve on a situation if you don’t have a starting point. If you don’t know your numbers. And so so many dental offices out there *DO NOT* keep stats on these parameters. A good friend of mine says “What gets measured gets repeated. And what gets repeated gets rewarded”. If you know your numbers, you know what you can improve on. And that’s a necessary starting point. Only one in five new patient enquiry calls makes an appointment. On average, four out of every five calls to your office are not scheduling an appointment. Now let’s be clear about this. These calls, these not-yet-patients, New Patient enquiries, these calls are being made for a reason. They’re *NOT* being made because the person has a half hour to spare and they thought they’d ring around a few dental offices for entertainment. They’ve rung because they have a dental situation. Already. And already, they’ve done some homework, and they’ve chosen your office, as the place they want to go to fix their dental problem. Yet four out of five callers hang up empty handed. And that’s sad. Because that’s free money for the dental office being flushed down the drain because nobody’s measuring the numbers. And nobody’s then trying to improve on those numbers. How would you like to have your new patient numbers double? How would you like to see twice as many new patients per month as you normally do? What do you need to do to double your new patients? Or you could simply double your front office telephone conversions. Convert calls that are coming in anyway. Imagine the change in numbers, if your office could lift it’s strike rate from one in five to two people in five making new patient appointments? That would immediately double your New Patient numbers. And with zero increase in spend on any advertising and marketing. You see it’s a no-brainer! Honing your skills, learning new skills, being able to increase your ratios and your numbers. Being better at what you do. Being better this month than you were last month. Being better today than you were yesterday. As I said, doctors, you don’t need to spend one dime more on costly advertising. You’ve just got to keep track of the numbers. And improve on those. It’s that easy. And this improvement is easy to reward. We all know what a new patient is worth to our dental office, right? We all know how much a new patient on average spends. Over one year, over two, three and five years? We all know our lifetime value of a new patient, on average, don’t we? And so we know that doubling our new patient numbers, will on average, bring in, an extra “X amount of dollars” to the dental practice. Without any additional spend. Just purely because of better phone skills and number tracking. And so from that extra “X amount of dollars”, because there is no added acquisition cost, it’s easy to pay a bonus, or incentivise, your receptionist on any increase in numbers. And there’s your winner. There’s your pearl. Doubling your phone conversions, doubling your new patient numbers, halves your new patient acquisition costs. And we all know how much we spend on advertising, so we all know how much we spend on acquiring a new patient. And now we’ve halved that number, like I said, by simply answering the phone better. That’s why we need companies like this company. To make dentists aware of how much free money is not being captured by staff that could be trained better. Free money for the dental office, that’s out there. So if you feel that this company is aggressive in their approach to your dental office, then think again. Answering the phone correctly is one of the many modules that comprise The Ultimate Patient Experience is a simple to build complete Customer Service system in itself that I developed that allowed me to create an extraordinary dental office in an ordinary Sydney suburb. If you’d like to know more, ask me about my free special report. An interesting question was posted on a Dental Mastermind chat forum yesterday by one of my good friends. I answered briefly, between other more urgent tasks of the day…. But I did cut and paste my answer to a Word Doc because I knew this would make a great subject for today’s blog post. With the assisted contribution from three other members on that forum, here’s where the discussion, has unanimously turned …. I know for a fact that everyone calling my office for treatment related questions [as opposed to those trying to sell me SEO etc.…] is doing so because they actually need that treatment. With that thought in the front of mind, our job on the phone is to convince the caller that we are the Dental Office for them, and in so doing, make the question of price irrelevant. Our job is to make the question about price totally irrelevant in their decision for choosing their new dental home. If they THEN choose to go elsewhere for their dentistry they do so knowing that they have compromised their decision. Answer their question with several more questions. The first question that the caller asks is often NOT really their primary concern…. We need to dig deeper, and dig quickly, to divert the caller from the price answer. Leading with this question immediately allows us to control the conversation and gather the following important and necessary information without offending the caller, who could in fact be a regular patient or a newly acquired patient, who is just inquisitive…. Asking this question, “When were you last in to see us?”, allows us to then gather whether they have been in to see us or whether they are in fact a potential new patient? Straight away we have deflected Mrs. Smith away from her price inquiry, and with this question, we have informed her that we are grateful for and welcome new patient referrals ands that we reward our existing patients who do refer clients to us. This is a very, very powerful question. Now that we have taken control of the call, we can gently ask more questions to gather more necessary and important information from the caller. Subtly distracting the caller with questions allows you to gently break down the caller’s guard and then present yourself and your Dental Office as the nicest, friendliest place on earth for them to get their PROBLEM SOLVED!! The Wrong Answers to the Price Question…. Of course there are incorrect ways of answering the “How much is a filling?” question. Here are some answers your receptionist should never ever say…. We need to avoid offering all statements that act to close down the conversation with the caller. We need to avoid all comments and answers that give no feedback about us, the dentist and our Dental Offices. If your phone is answered with these poor answers, or other equally poor answers, the caller is left only to judge you and your office on your receptionist’s voice and phone manner and those poor answers to their price question. And that’s a LOSE-LOSE situation. It’s a lose because you miss out on the caller making the appointment, and the caller misses out on receiving the Fine Quality Dentistry and the World Class Customer Service that your Office is famous for providing. The correct response ALWAYS is for a receptionist to stick to the plan and protocol for these calls as designed by you and your Office. Stick exactly to the protocol. The solution is proper training. Clear and concise protocols. Train your team until they can do it naturally, competently and perfectly. Sadly, the trouble is most receptionists don’t really have the confidence to ask the right questions. And that’s because of inadequate training and unclear and vague expectations of them. And in those cases, sadly, because of the lack of training and skill development, the receptionist will almost always just want to get the caller off the line as quickly as possible. I’ve been told that in the movie “The Wolf of Wall Street”. Jordan Belfort trained garbage men to earn a million dollars a year selling to the top one percent of wealthy Americans by getting them to say it exactly the way he said it… by following the system. Confidence comes from competence and competence comes from having your team practice, rehearse and drill these scripts and protocols. Until they become second nature. Remember, nobody out there decides they’ll start calling Dental Offices for prices just because they’ve got a spare half an hour to kill. When they call and ask for a price it’s because they have a genuine dental issue. The only thing I know is that when a receptionist tells me a caller was a “shopper”, it’s time to get a new receptionist…. 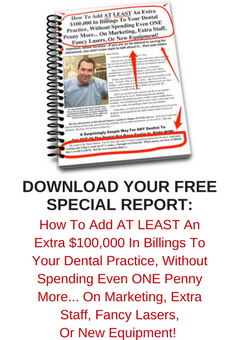 The #1 Reason Why Not Advertising Your Dental Office Is Killing Your Business!! The best way for a dental office to stand out in a loud crowded world is to invest in some excellent marketing and advertising in the first instance. Marketing that really makes your office stand out. “HELLO! We’re different, and here’s why”. In a recent blog post, I discussed the obvious merit of the business decision of marketing or advertising your dental services. I questioned the reasons why some dentists choose to take this path or track, and other dentists choose not to let the world know about their services, and the levels of service that they provide. You see, sadly, the public on a whole, make the assumption, the incorrect assumption, that all dentists and dental offices provide an equal level of competency in the dental services they deliver to the population. Because the public are really not educated or informed to the contrary. They believe that a filling is a filling is a filling. In the same way they believe that a bottle of milk is a bottle of milk is a bottle of milk. But we all know that a car is not a car is not a car. And we know that a house is not a house is not a house. There’s a difference between cars and cars. What we really need is for the consumers, the population; we need our clients, patients and customers to know that there is a difference between dental services provided by one dental office compared to another. Because the belief of Mr. and Mrs. Joe Public is that a filling provided by Dr Smith at 123 Alabama Street Dental will be exactly the same as a filling provided by Dr Jones at 456 Zanzibar Road Dental. Sadly, that’s what most of the population believe. And I’ve said before that Mr. and Mrs. Joe Public also expect that the team at 123 Alabama Street Dental and the team at 456 Zanzibar Road Dental will have equipment and SOPs and protocols that pretty well are standard, across the board, across the state, across the country. The public, by and large, believe that dentistry will all be the same no matter where they go to receive their dental services. That’s what they’re led to believe will be happening. With that in mind, the only really clear way that Mr. and Mrs. Joe public will identify any a point of difference between one Dental Office and another is the way that the dental office makes them feel special and important. They’ll remember for a long time the way you treat them, the way you make them feel, and the way you make them feel special. The best way for a dental office to stand out in a loud crowded world is to invest in some excellent marketing and advertising in the first instance that says “HELLO! We’re different, and here’s why”. In marketing, in advertising, in telling the world about your great business, there is always opportunity. There is always opportunity to tell the world how good your service is, and why the world, the people out there, should choose you, choose your product, choose your business. But truth be told, I’ve seen many instances of great dentists *NOT* being successful in business, with their practices, because they failed to tell the world how good they really were. There are enough rewards out there for everyone.. If you know your dentistry is good, and you know your services are exemplary, then you owe it to yourself to market and advertise your dental office and let the general population know you are there. Because they’re looking for you! There are so many people out there looking for great dentists who provide great service to their clients and customers. And they don’t know where to find you. You must let them know where you are. It’s your obligation to market your services and your office and let the population know where to find you. So what sort of marketing should you do? Next week I’ll discuss the types of marketing I’ve seen to work well over the years. I’ll also discuss some recent bad marketing and brainless marketing I’ve seen that only transfers your money into the accounts of pirates and bandits. And I’ll discuss the thinking out there in the dental industry that unknowingly supports those bandits. Well I hope it’s unknowingly…. Your Four Employers. Are You Serving All Four of Them? If there’s one phrase, one idiom, that sticks in my head, that comes to mind, that should be front of mind, when it comes to providing customer service that is World Class, then this is that phrase. It’s a quotation, from the Movie “Remains of the Day”. In the movie, there is a scene where character James Stevens, played by Anthony Hopkins explains his mantra, his philosophy, to Miss Kenton, played by Emma Thompson. And not a truer word should ever be spoken. Because, you see, our “employer” is our customer. In business, our customer is our employer. Because without their custom, their patronage, their business, we have no business. Our “employer” is also our employer. It’s our boss, our business owners. It’s our managers. Without them, there is no structure, no guidance, no leadership, no direction. We must always serve them. Our “employer” too, must include our team members. Without our faithful team members, and employees, we are merely a shadow of ourselves. We need to be sure and confident that our team, our staff, are served with purpose and direction by us so that their own purposes and directions are made clear for them. As leaders we need to be servers. Finally, but by no means least, we need to be clear that our “employers” includes those we love. Because those we love, we must unconditionally serve. Those we love are the reason we get out of bed in the morning. Our love for them makes us want to serve them as best we can. And we serve them with our actions, and our deeds, as well as our results. When we then consider these four “employers” and we consider our relationships with them, we must consider that within each relationship there needs to be compassion and understanding. Although as the server, we are the *servant*, it is far more pleasant for us, and for both, and for all, if compassion and understanding are exhibited and conveyed from both parties. When I dine, when I shop, when I simply fill up my tank, I’m always looking to engage the person serving me. Through seeking engagement comes back engagement. And with that, comes back connection. And barriers, real or otherwise, are broken down, and scattered and removed. When I interact, am I looking to engage? And if you are not, why not? The more we engage, as customers, the more service, and better service, we receive. And interestingly, as servants, the more we engage, the more we will receive from those we serve. From our customers, our team, our managers and owners, and from our loved ones. It’s all in the serving. It’s all in the engagement….